Japan’s CoroCoro magazine has landed with subscribers, revealing several new Zygarde forms ahead of an official announcement from The Pokémon Company International. 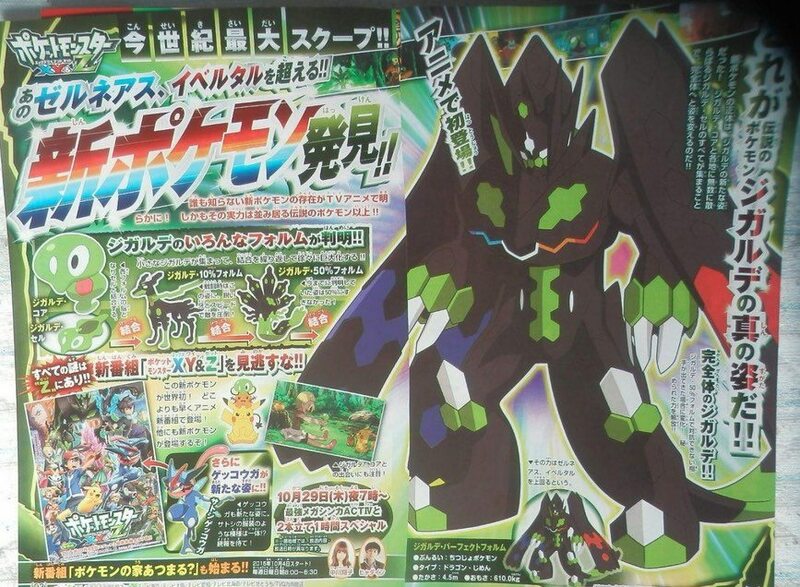 Meanwhile, the largest form is ‘Zygarde Perfect Forme’ and remains a Dragon and Ground-type Pokémon. This was similarly teased at the close of the Pokémon the Movie XY: Hoopa and the Clash of Ages. It is known as the Order Pokémon – standing at 4.5m tall, weighing 610kg and exceeds Xerneas and Yveltal in power. I expected Zygarde to get a new forme but this is a shock. I’m hoping that since it keeps its typing that it has some way to overpower Xerneas and Yveltal.